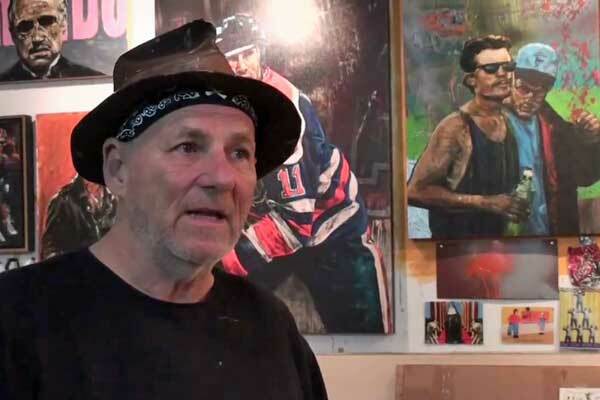 Stephen Holland is considered the master of painting the tough guys of sports and celebrity. 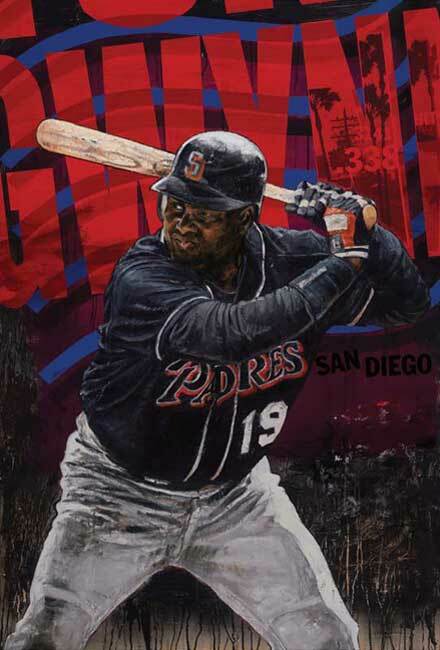 It has been claimed “there is struggle and triumph, grit and glory, humanity and spirit, in every Holland painting.” His painting style has evolved to an innovative interpretation of retro, to featuring the brighter colors of sports action. 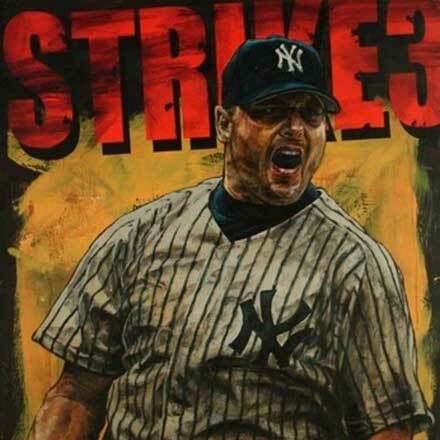 He uses mixed media collages of acrylic paint, paper, stencil work, and textured digital design. 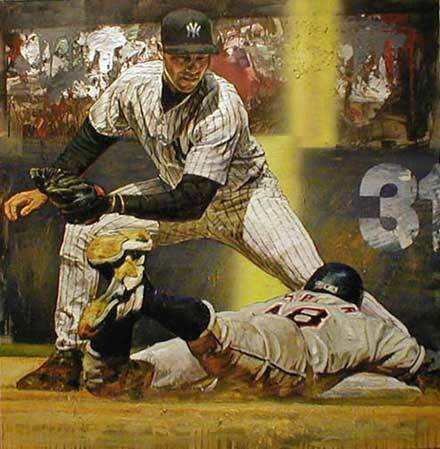 His legacy is world class, like the subjects he paints. 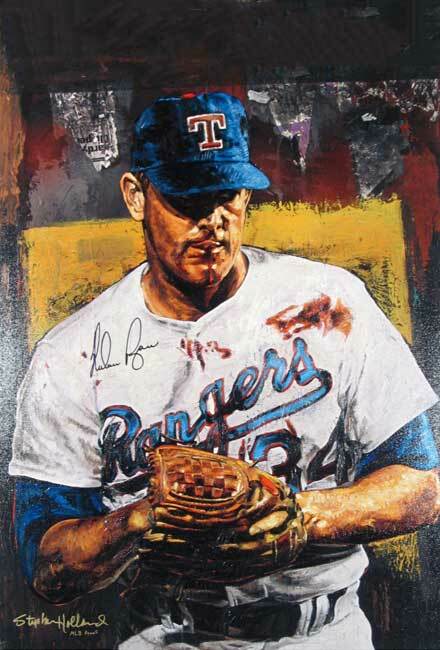 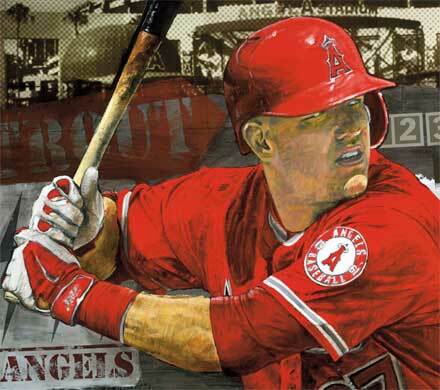 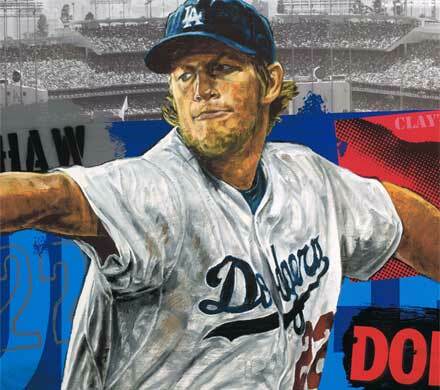 See more at Stephen Holland from Art of the Game Collectables.